This month OSHA announced that as of January 1, 2015 employers must begin complying with new workplace injury and illness reporting requirements. The new rule has two major components. It establishes new requirements for when employers are to report certain serious injuries to OSHA as well as introduces a new industry classification system to determine whether employers with over 10 workers must maintain injury and illness records. Additionally, employer reports regarding some serious injuries and all deaths will be posted online at OSHA’s public website. Under the new rule employers will still be expected to report an on the job fatality to OSHA within 8 hours of learning of the death but the new rule adds a new mandate for employers to report to OSHA within 24 hours an incident that required the hospital admission of one or more workers, an amputation or the loss of an eye. The old rule gave employers 8 additional hours to report the hospitalization of three or more workers and did not have a requirement for reporting amputations or eye losses. 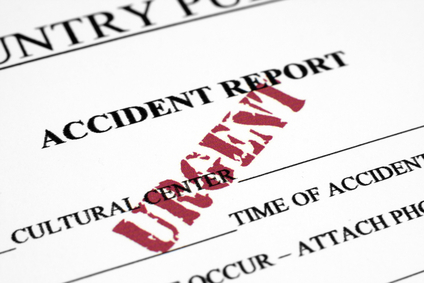 OSHA expects to receive around 25,000 reports in the new rule’s first year. One other major development of the final rule regards how OSHA classifies industries to determine which are considered low-hazard. The agency is transitioning from the Standard Industrial Classification System to the North American Industry Classification System. Additional industries that must start keeping records are automobile dealers, bakeries, liquor stores, museums, and family services organizations such child and youth services as well as services for the elderly and people with disabilities. Industries that will become partially exempt under the new rule include fuel stations, book publishers, wireless telecommunications carriers, and electronic appliance stores. If you have questions on the new injury reporting rules, please contact us.